Arguably no other form of hunting relies as much on scent and masking scent as deer hunting. The right or wrong deer scent can mean the difference between success and failure. To ensure that you are fully prepared when it comes to scent, follow these four important tips on the good and bad scents related to deer hunting. If deer catch a whiff of your human aroma, it can ruin your entire day of hunting. However, it is ridiculous to think that hunters can completely eliminate their own smell. We have a smell, deer have a smell – all mammals in the woods have a smell they carry with them. Ideally though, your goal should be to keep your scent to a minimum. The best steps to take in reducing your scent are to eliminate the unnatural smells humans often carry with them. Wash your clothing in unscented detergent, shower with unscented soap, avoid cologne or scented deodorant, do not use aftershave or scented hair products, and get rid of the cigarettes or cigars. You may also try leaving your hunting gear outside for a few days to air any unwanted smells and give your clothes a more natural scent. As for your own odor, when you are out in the woods or field, you are going to be creating scent as you sweat or breath, so it is not realistic to think that you can completely mask your own smell. Yet, you can reduce your smell, to some extent, by spraying yourself with odor eliminator and spraying the bottoms of your boots with deer urine. It is also important to remember if you are hunting in an area where deer are frequently exposed to people, your scent is less likely to alarm the animals. If you are hunting in a secluded area, where few people ever go, your scent will be more likely to spook the deer. Many hunters use doe estrous in an attempt to attract bucks, however, this tactic is not effective throughout the entire deer season. The only time doe estrous is really effective is during the peak of the rut, which only seems logical. Using it too early in the season does not have an effect, because it is not something the bucks are keyed in on early in the season. During the peak of the rut, many hunters use doe estrous at the site they will be hunting, but you may improve the odds of a buck reaching your location by leaving a trail for it to follow. Soak a rag, blanket or towel in doe estrous and drag it on the ground behind you as your walk to your hunting site. Help the deer find you. 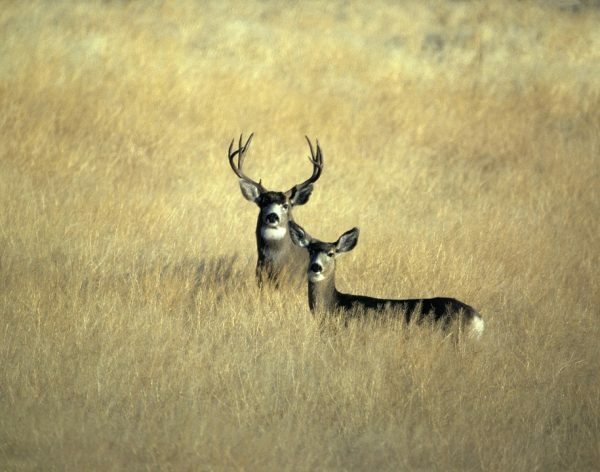 At times outside the rut, try using a deer urine scent that is combined with food scent. This can help lead deer to your location. Spraying the bottoms of your boots with deer urine helps to mask your scent, but you should also spray it around the site you will be hunting, especially around your deer stand and any other areas you have frequented during trips to your hunting site. You certainly cannot control the wind, but you can work within the constraints of the wind to reduce the odds of a deer catching your scent. The day before the hunt, you can check weather reports for the anticipated wind direction the next day. Choose a hunting location that will be downwind of areas deer will likely be located. It is also important to take the wind into consideration when traveling to your hunting site. Choose a path that keeps you downwind of likely deer locations.